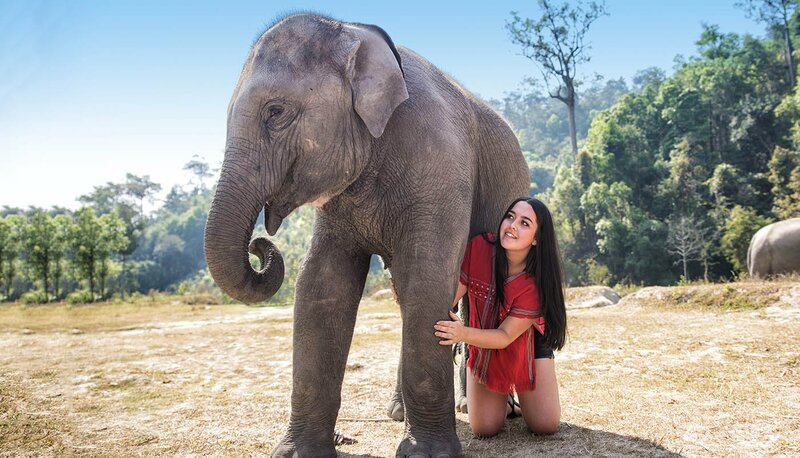 Experience crazy Bangkok nightlife, discover ancient temples, sleep overnight on floating bungalows, snorkel in crystal clear water, party on the famous 'full moon' beach, explore the stunning Phi Phi Islands, stay with local hill tribes, go zip lining, experience a once in a lifetime day at an Elephant sanctuary and more! Discover the magical Khao Sok National Park, a hidden paradise of pristine lakes & limestone mountains. Go tubing, kayaking and stay overnight on floating bungalows! Soak up the best of island life. Chill out, work on your tan, snorkel in crystal clear water and have a BBQ and party on the beach! Then unwind and relax with a traditional Thai massage. Swim and snorkel around Koh Phangan on an island boat trip, learn the art of Muay Thai Boxing or relax with a private Yoga class. Then work on your tan with a cocktail by the pool before partying the night away on the beach! 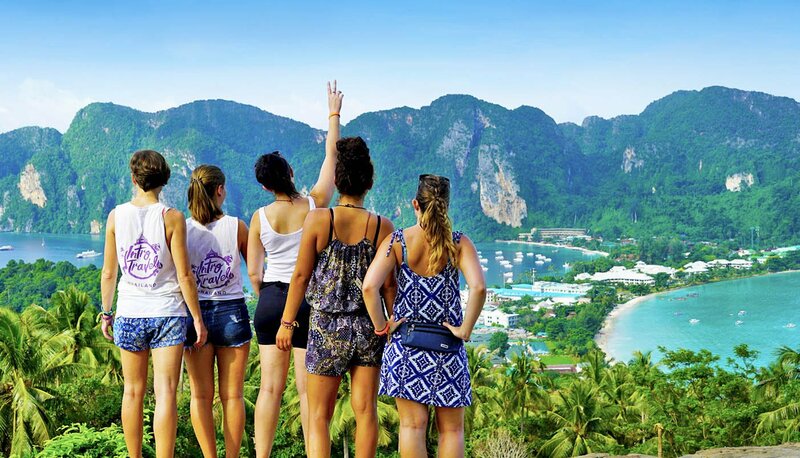 Hike to Phi Phi’s iconic viewpoint in the morning and then explore Phi Phi’s amazing Paradise Islands on a private and exclusive boat trip. Visit hidden lagoons and beaches and snorkel in crystal clear water. We’ll head out to dinner and to experience Phi Phi’s awesome nightlife! Arrive and explore the amazing adventure capital of northern Thailand - Chiang Mai. Fly high amongst the rainforest canopy and experience the spectacular views of Chiang Mai in an adrenaline charged afternoon of fun! Trek through and stay overnight in the amazing jungle of Chiang Mai. Wander through beautiful rice paddy fields, see stunning waterfalls, visit a local tribe and then bamboo river raft your way back home! Personal airport pick up from Bangkok Airport. * Your accommodation will be a mix of either twin, double, triple or multi-share rooms. 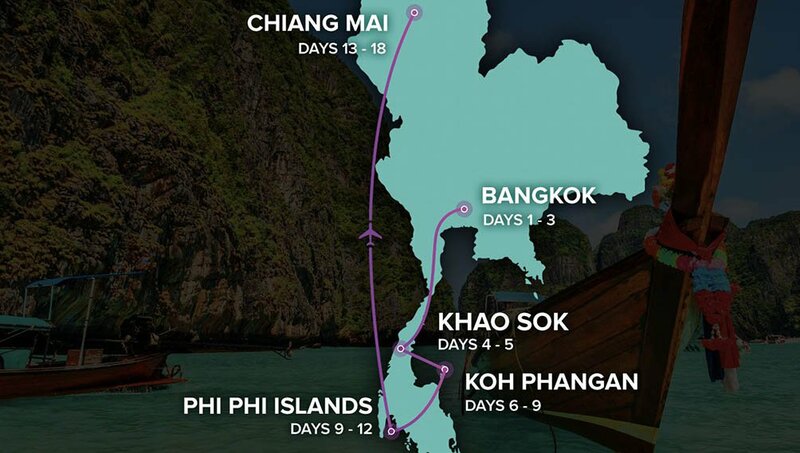 Overnight Train, Taxi, Minibus, Ferry, Long Tail Boats and a Flight from Phuket to Chiang Mai. Thai Intro has won Tour Radar's Worldwide 'Tour of the Year' the last 3 years in a row! Thai Intro has an average rating of 4.9/5 based on 4,490 customer reviews. Had a brilliant time, definitely worth doing, easily worth the price you pay as everything you do is great. 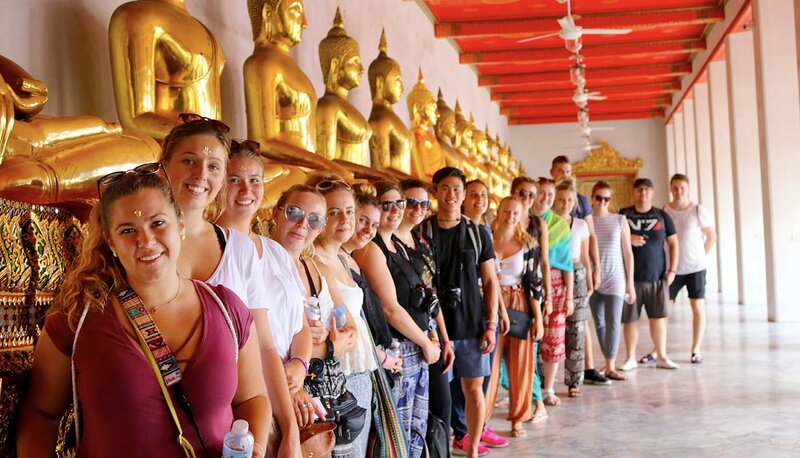 Absolute fantastic tour with great activities included. Ben and Lyndsay really took care about everything. Loved it. I had the most amazing time travelling with intro travel. Everything was really stress free and the group leaders were really helpful. Had an amazing time! I would like to thank jay massively for the constant support throughout the trip.